I had never tried pulled pork until I tried this recipe. And I think I hit gold on my first try! This slow cooker pork is so amazingly tender and full of flavor. I’ve since tried it elsewhere and this is still my favorite. The best part? I can stick it in the slow cooker before I leave for work and it is perfection when I get home! I’m all for the ease of this recipe alone, but the flavor is really incredible. Mix all spice rub ingredients in small bowl. Massage spice rub into meat and place it in slow cooker. Add water and cook on low for 8-10 hours, until meat is fork-tender. Transfer roast to cutting board and shred using two forks. Empty liquid from slow cooker into a bowl and set aside. Turn the slow cooker to “Warm” and return the shredded pork to the cooker. Slowly reincorporate some of the liquid that you set aside to the pork, until it is moist. (*) Allow to sit for about 15-20 minutes and then serve on your choice of bread/bun with the barbeque sauce. 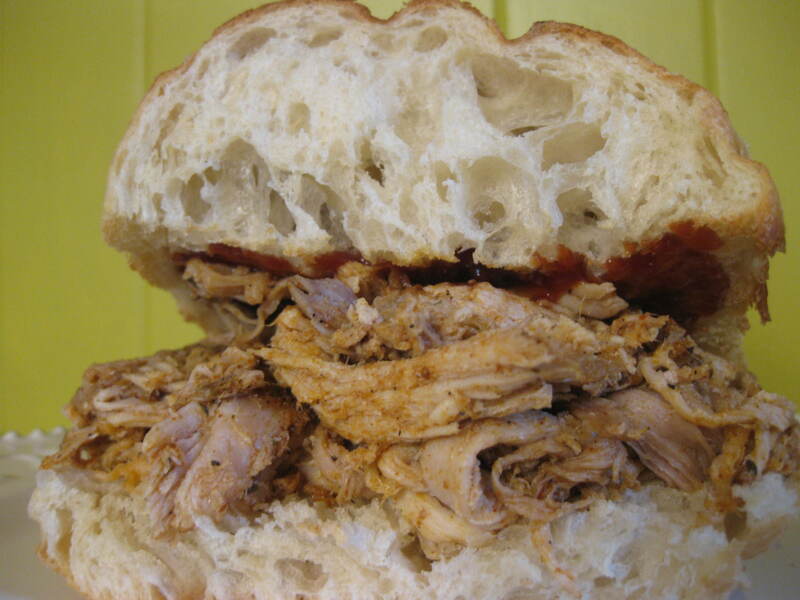 We ate our pulled pork on toasted olive oil ciabatta (I always toast the bread for pulled pork sandwiches so that it doesn’t get soggy). *Most recipes (including this one) call for adding some barbeque sauce to the pork at this point and allowing to warm for about an hour. I like to only add it on the sandwich because I really love the flavor the spice rub gives to the pork. I don’t like to overwhelm it with too much sauce and this way each person can customize it to their tastes. A run or the gym…a run or the gym…The gym won this time! I’ve really been enjoying strength training lately! I was the only person there the whole time! It was awesome! I warmed up with 10 minutes on the elliptical. Then I did about 45 minutes of different strength machines for the upper body. I tried to do 3 sets of 12 on each machine. I can already feel myself getting stronger! Yay! I set most of the machines at 20-25 lbs. for each arm. I decided to give spinning a try tonight and went for a 15 minute “ride” to get in some cardio. It was great! I just did a random workout and chased after the little dotted hills on the screen! 🙂 I was sweating so much by the time I was done. I came home and was feeling quite hungry. Introducing…..
Nature’s Peanut Butter Cups! 🙂 A date with a smear of natural peanut butter (probably about a 1/2 tsp). Soo good! I’m not sure if I’ve ever had dates before! 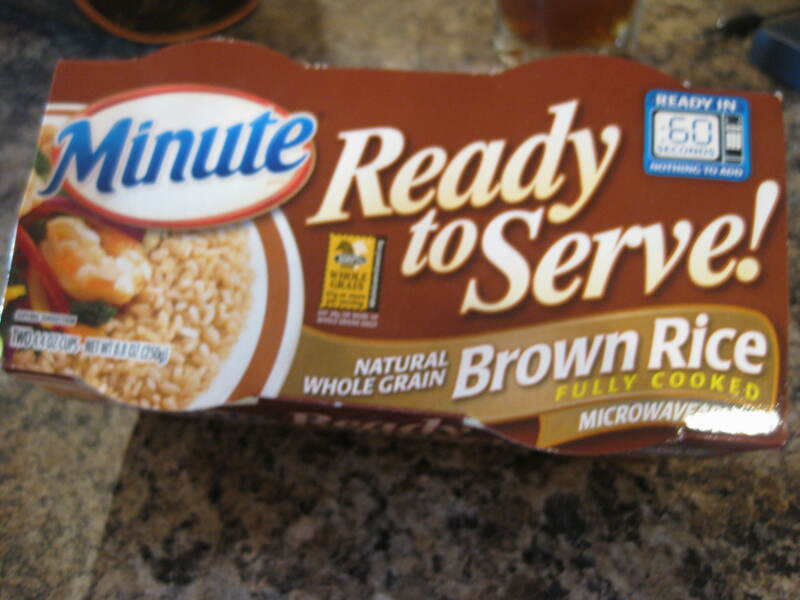 I was kind of surprised at the texture… I thought they were more like prunes. I had one plain and the one above. This would definitely satiate a sweet tooth! Yum! 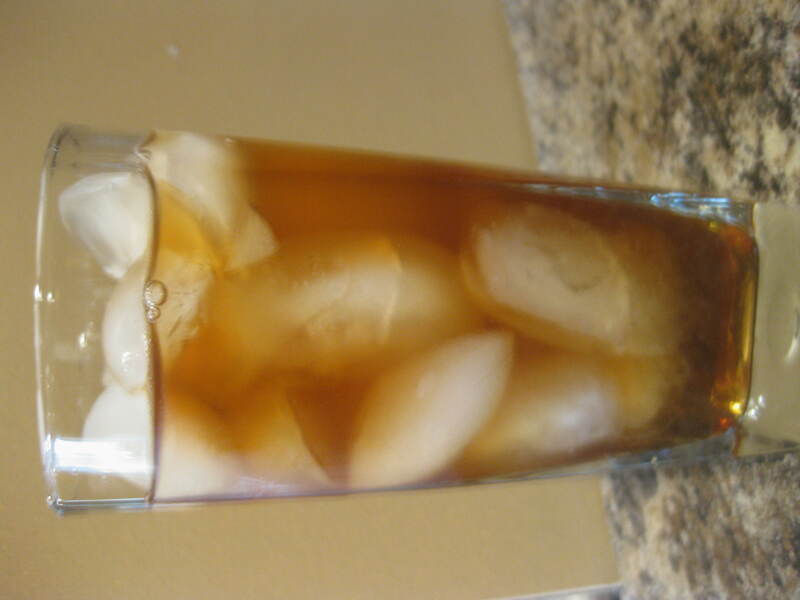 I also had a glass of iced tea (Arizona). I’ve switched to this from iced coffee. For some reason I was just kind of sick of it and the caffeine was elevating my blood sugars a lot. This obviously isn’t the best option as it has high fructose corn syrup but the amount of caffeine has been getting me through the day without a headache. And it’s delicious! I should really start to brew my own…I’m not banning coffee but just want to be able to go without caffeine and not get a headache! 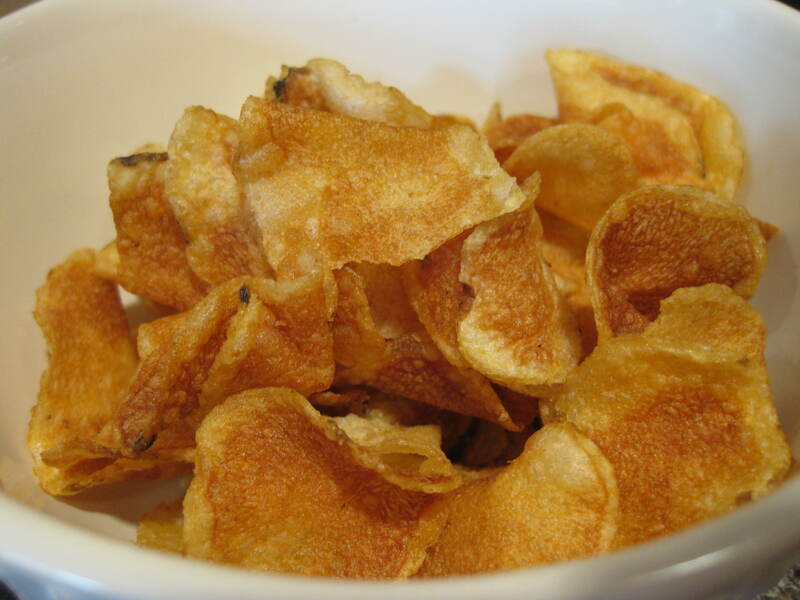 I also wanted something salty so I had some dark russet potato chips. Hi guys! What a beautiful day!! And I’ve spent most of it inside cleaning… 😦 Oh well, I do love a freshly cleaned home! I had plans for a four mile run this morning but time got away from me. I may still go this afternoon, or possibly head to the gym but we’ll see…I kind of just want to relax for a while and enjoy the sunshine! 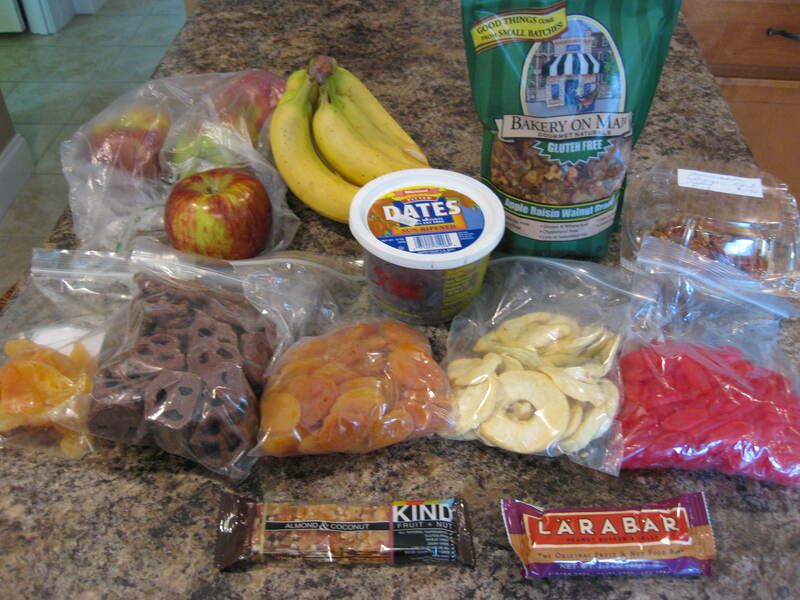 I ran over to the farm stand earlier just to pick up some random food items. I love going there just to browse (it’s like a little grocery store with lots of organic and natural foods, not just produce). It can be a little expensive though so I try to only get a few things to try out. 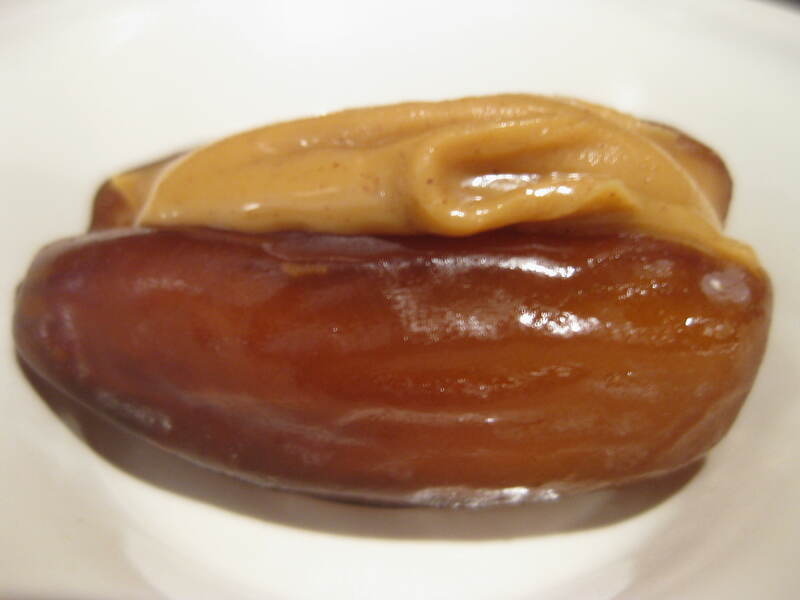 Dates- someone mentioned that they stuff dates with peanut butter and it tastes like a peanut butter cup! Will have to try this ASAP! 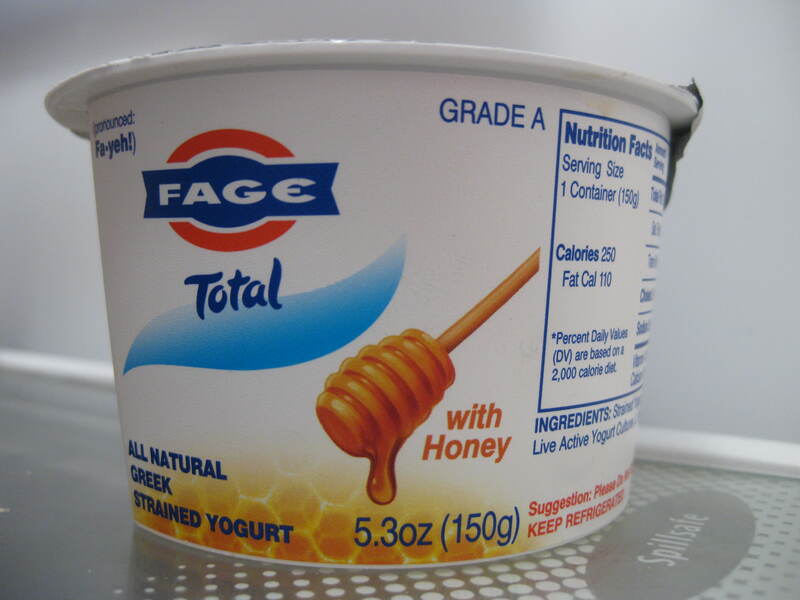 Also, saying hello from the fridge…coconut water and Fage Greek yogurt with honey!! If you haven’t tried Greek yogurt yet, get thee to a store STAT and buy some! It’s a lot thicker than regular yogurt and usually has less sugar too. Sweetened with honey, it is to die for. Fage is my favorite because it is the thickest one I’ve found. It’s like the consistency of sour cream (that may sound gross but it’s not). You can even substitute it for sour cream when cooking or baking. Chobani is also good, though not as thick. I especially love the one above because it has the honey on the side so you can adjust the sweetness. This is my first time buying coconut water so I’m excited to try it out! 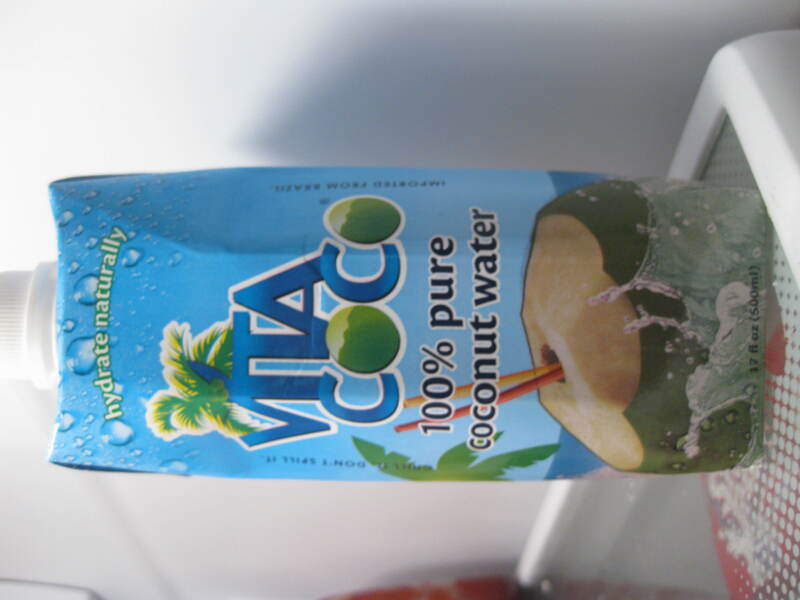 I know a lot of people use it to hydrate after running, kind of like a natural Gatorade. I’ll let you know how it is! The husband grew up on a dairy farm in Minnesota and always tells me about the pizza garden that he planted when he was little. 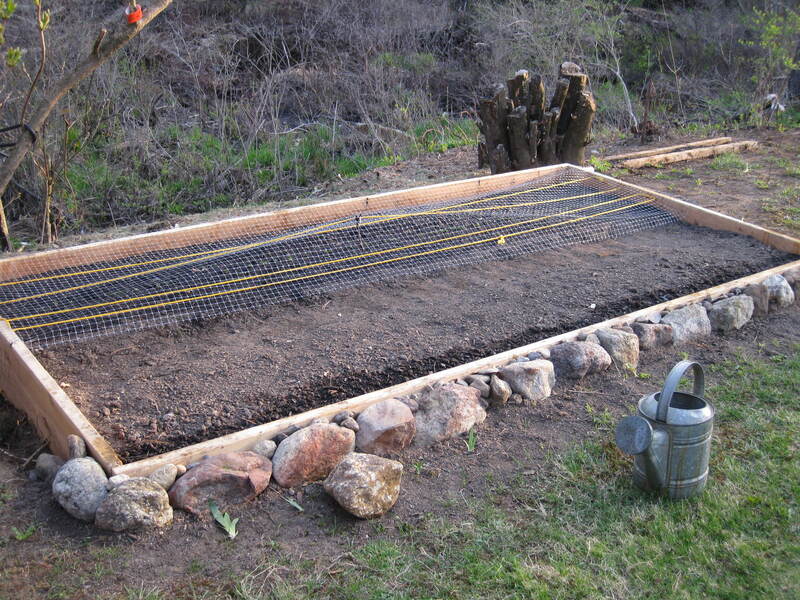 He really enjoys working outside so he decided to plant a garden this year. 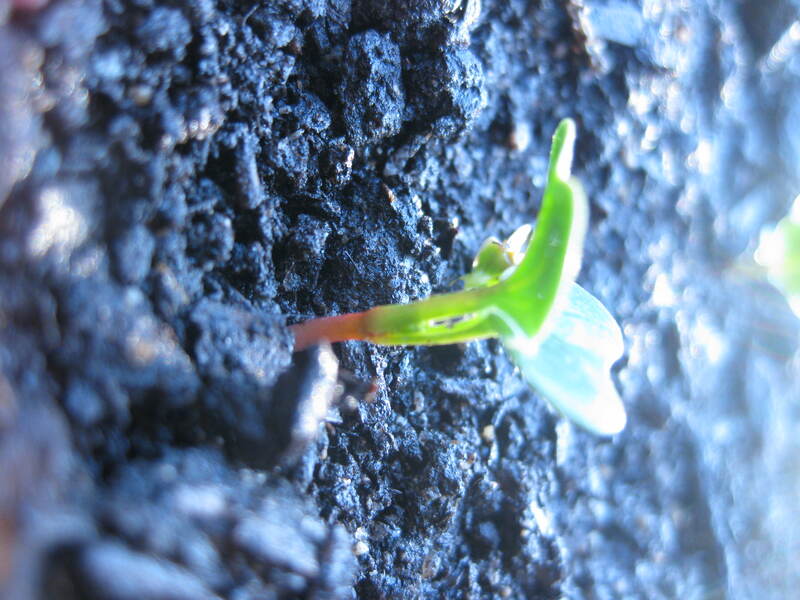 I can’t wait for fresh veggies!! I was looking into joining a CSA (community supported agriculture) this year but this is even better! 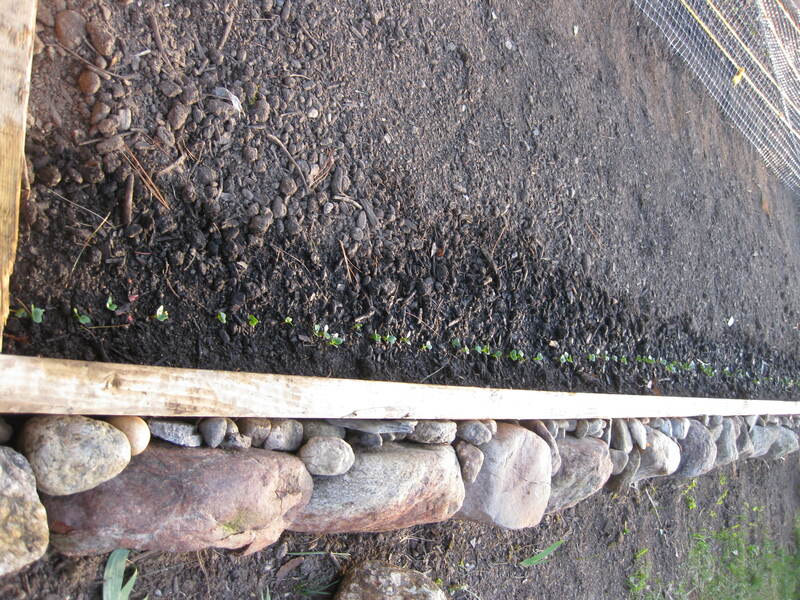 The husband is still working on the stone border. And the watering can came with the house when we bought it! lol…that was the deal maker right there! I love the Banzai burger at Red Robin so we made an easy replica. 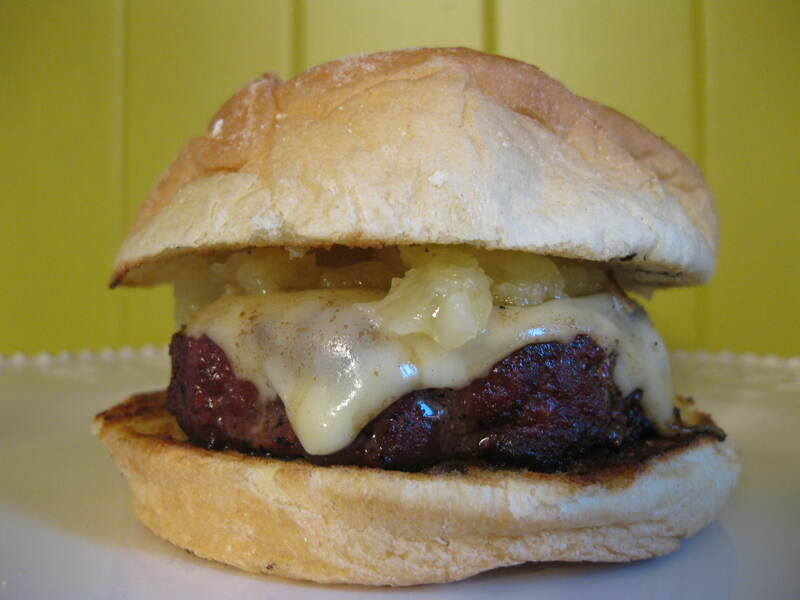 We just basted the burgers with homemade teriyaki sauce (recipe below) and topped with cheese and crushed pineapple. That’s it! 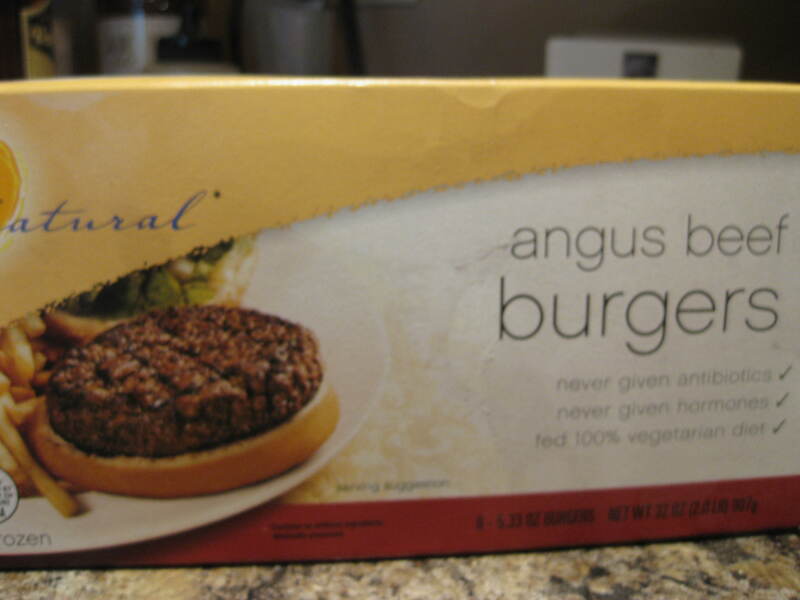 It was really good and these burger patties really are worth the extra bucks. 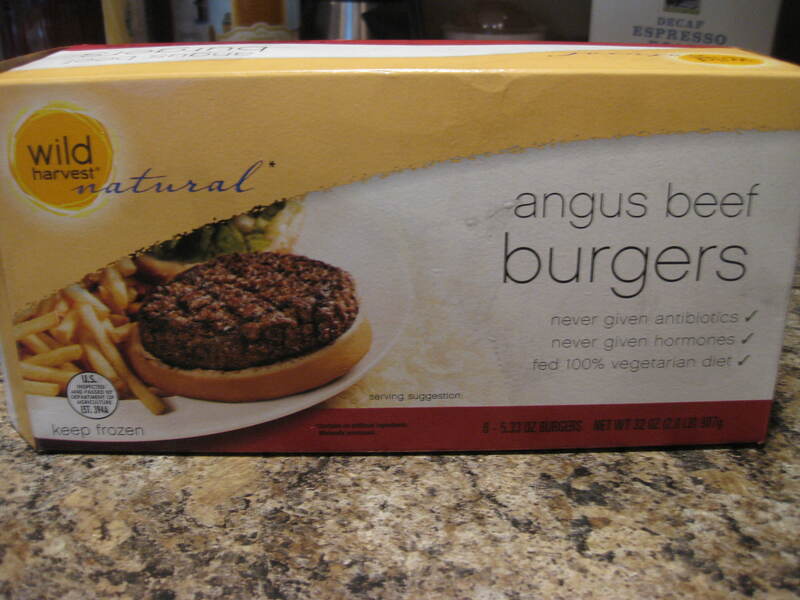 Very convenient and so tasty, and natural too! I will definitely be buying them again. 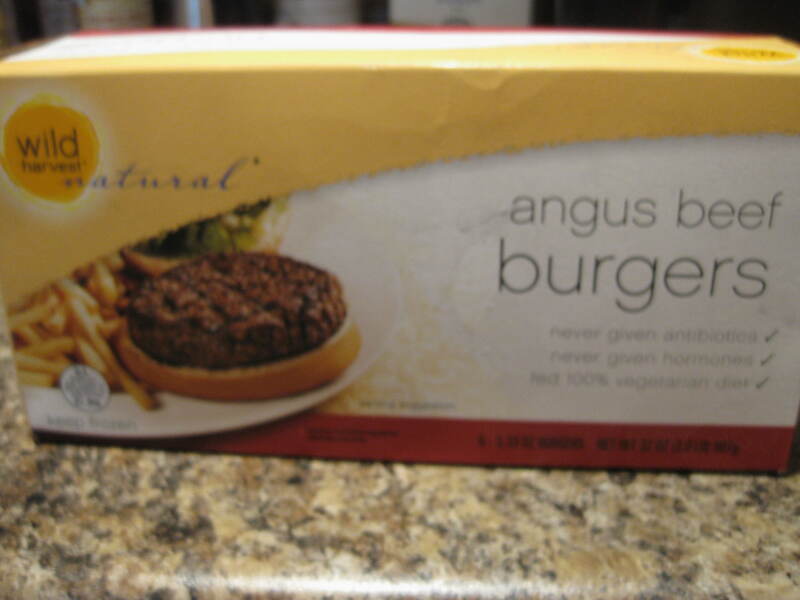 This sauce added some dimension to the burgers but wasn’t very strong. I wish there was some extras to put on after or for dipping to get a stronger flavor but it was used up on the grill. I had to half the recipe above because I didn’t have enough soy sauce so the amounts above would’ve been plenty. We ate our burgers with a side of brown rice. These cups are so easy and would be great for a quick stir-fry.